The jump is so frightening between where I am and where I want to be. 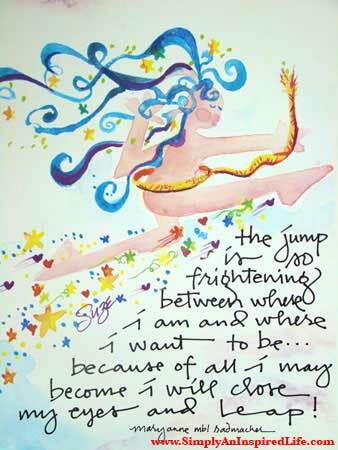 Because of all I may become, I will close my eyes and leap. Many important things shouldn't be done half-way. Think of getting married, having children, starting a business, changing your career. There are times to gather your courage and make the leap, the whole leap.